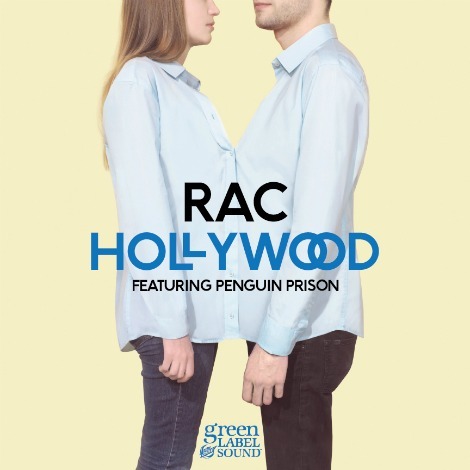 Congrats to André Allen Anjos of RAC in his first single “Hollywood”, which is released today via Green Label Sound. The song features Penguin Prison on vocals and really appeals to my love for pop structure. Its been great to watch André’s career really take off since I heard that first remix years ago. What started in a dorm room at Southern Illinois’ Greenville College has now made him one of the most in-demand remix DJs out there. Now RAC takes the spotlight and shows us what he can create from scratch. I’m really not surprised though that this track is great. If you listen to a lot of his remixes, he is in a way making brand new songs, creating more like a songwriter than a DJ would. In some cases making me love the remix way more than the original. What happens now though when RAC decides to remix RAC? Grab the song for free here. Here’s a little video about André. “Cut Me Out” by MNDR. Download the track for free at Green Label Sound. This is my birthday listening. Passion Pit remixing a new track from Cold War Kids (free download RCRD LBL). Putting Big Search on my radar, Matt Popieluch of Foreign Born/Fool’s Gold. Grab “Middle Man” at the LA Times blog. Going back through the new Ruby Coast album, free at Bandcamp. and finally, a new track from MNDR (via Green Label Sound). Check out the electronic-pop single “Cut Me Out” below in the widget thingy.